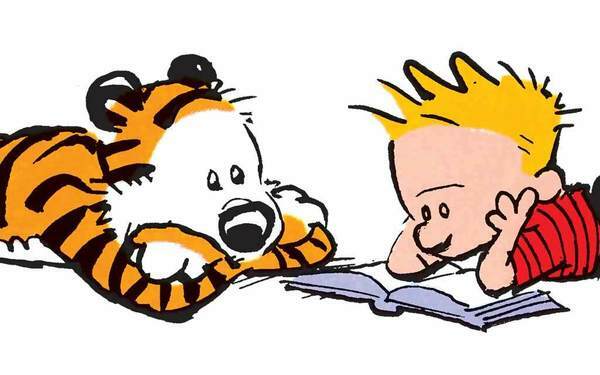 Calvin: "The end of the mesozoic era....A herd of Chamosaurs is unusually jittery!" 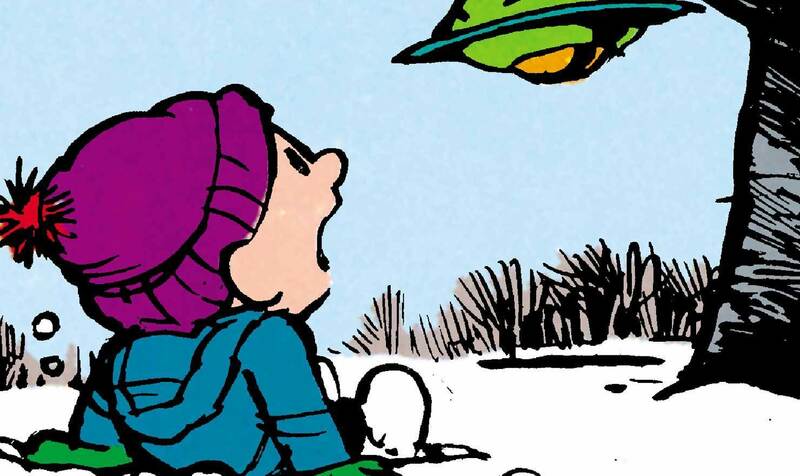 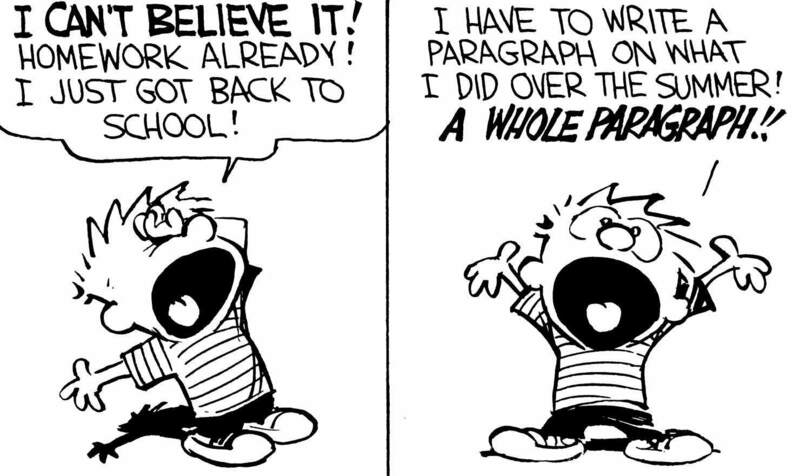 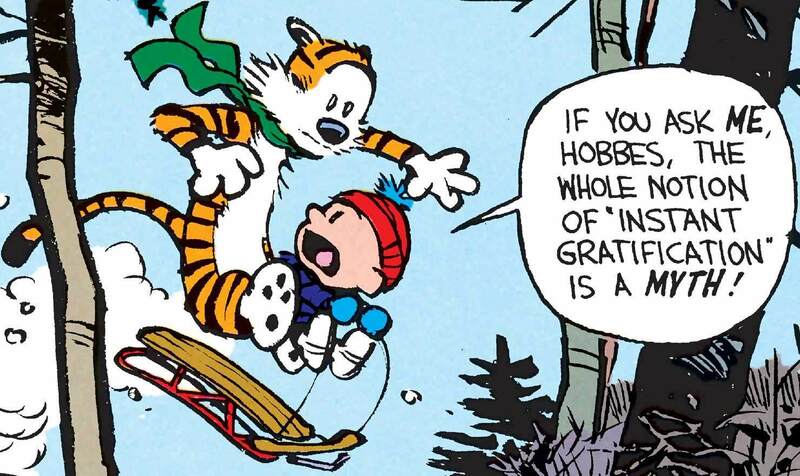 Calvin: "They know they have more to fear than tyrannosaurs! 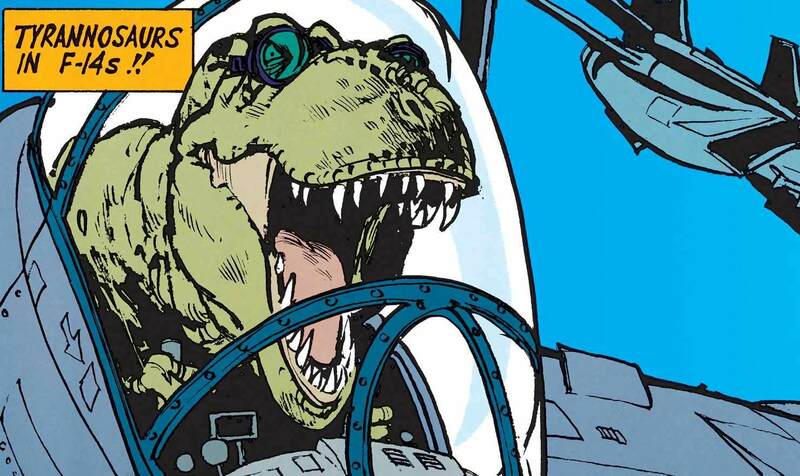 Now they face an even greater danger..." Calvin: "Tyrannosaurs in F-14s!!" 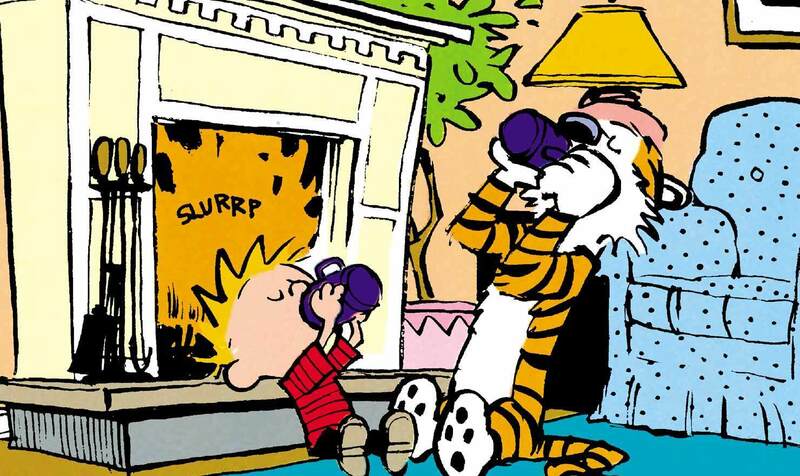 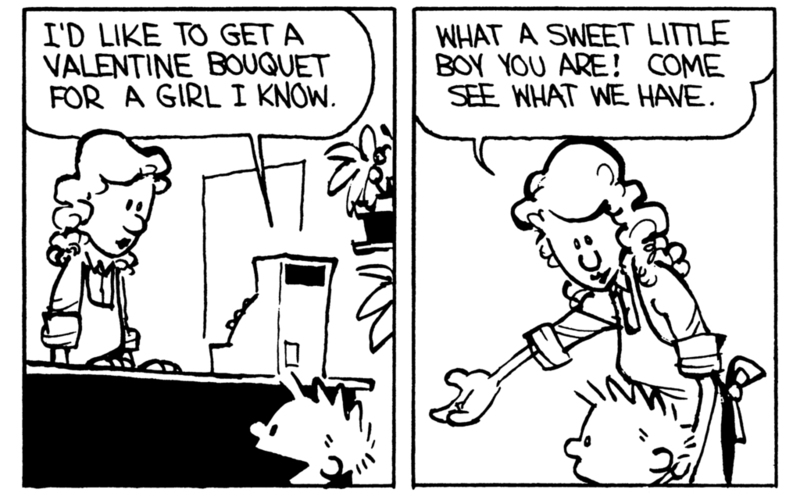 Calvin: "This is SO cool!" 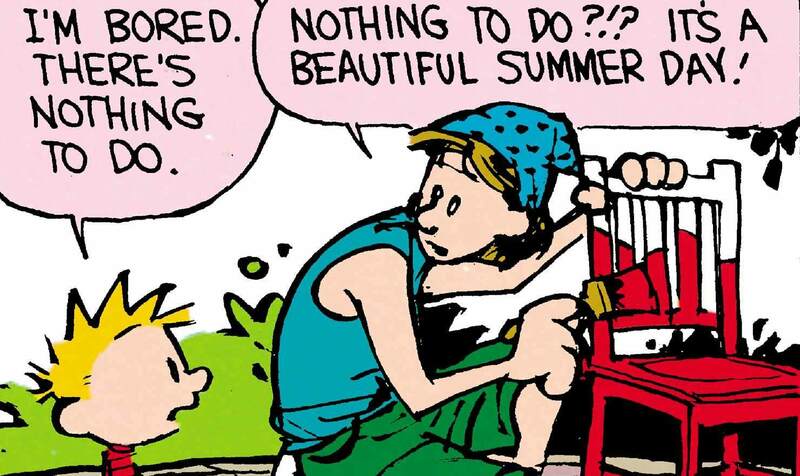 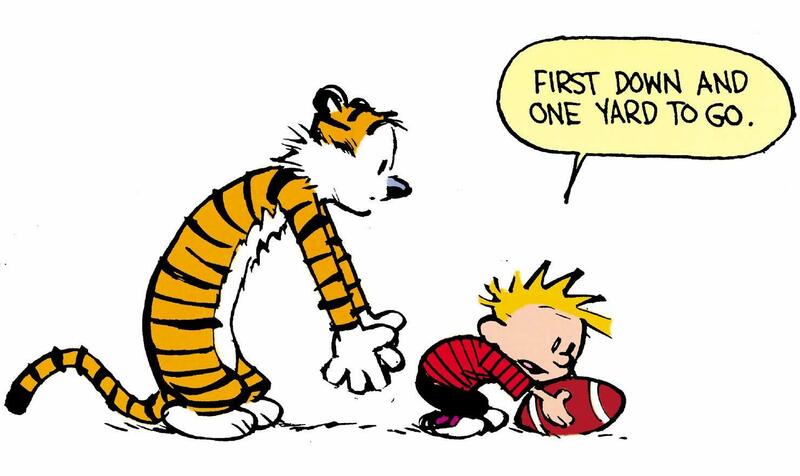 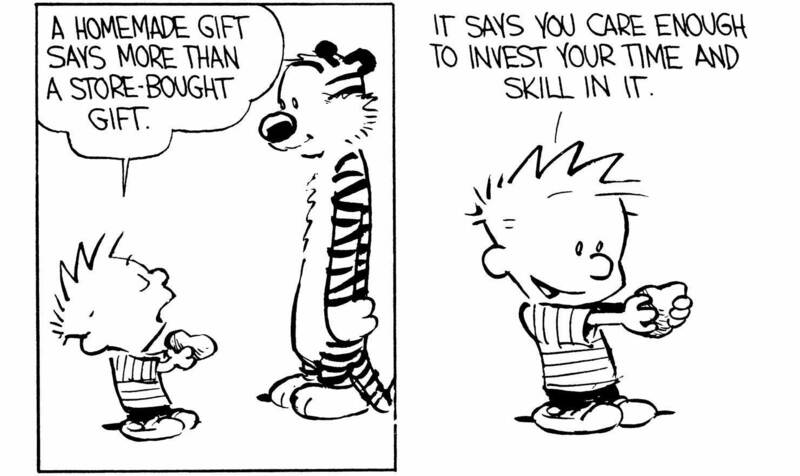 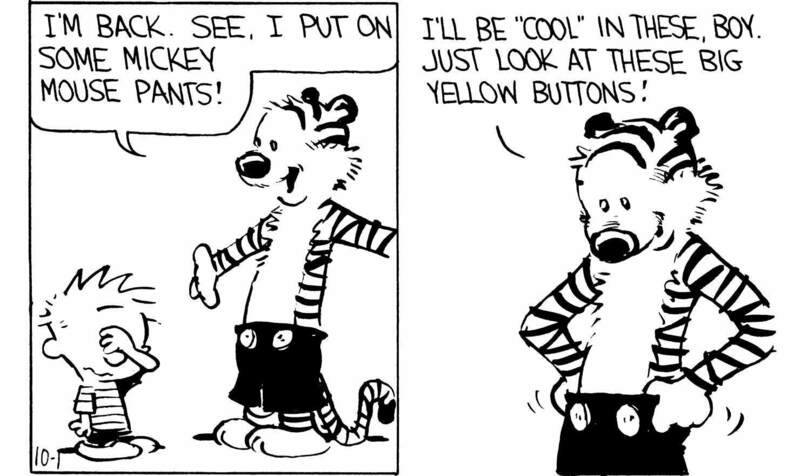 Hobbes: "This is SO stupid"